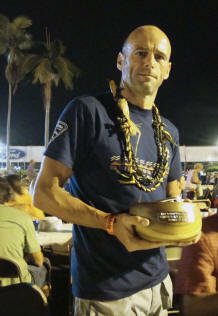 5th place, podium finisher in M40 age group (The largest most competitive division at the 2009 World Championships). I have qualified for the Ironman World Championships four times out of my last four attempts. I decided to have a go at a triathlon in my mid thirties while watching my younger brother do his first. 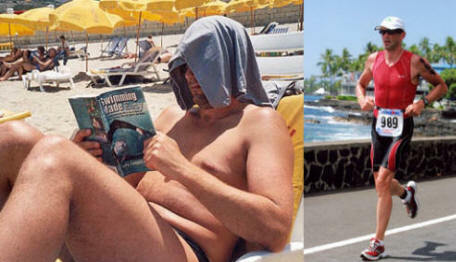 Having enjoyed very little physical exercise since leaving school in 1984, I needed to get fit and lose some weight. I was immediately hooked and then one thing led to another. 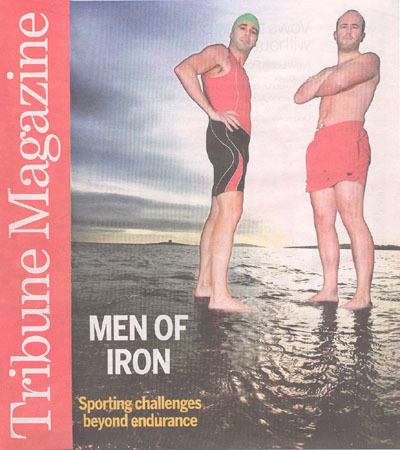 What started out as a group decision in 2005 to have a go at an Ironman race, record our efforts (see STONEMAD) and be done with it, has for me turned into something a little more than I had bargained for. Now eleven Iron distances races later, I still get the same thrill from racing as I did my first race. I am still striving for that elusive perfect race. I can’t say it’s a religious or spiritual thing, nor is it a fierce competitive urge to win. I just really enjoy the training, the big race day and of course I particularly enjoy finishing. Click on Icons for Race Reports Splits Etc. I never thought I would achieve anything in this sport. 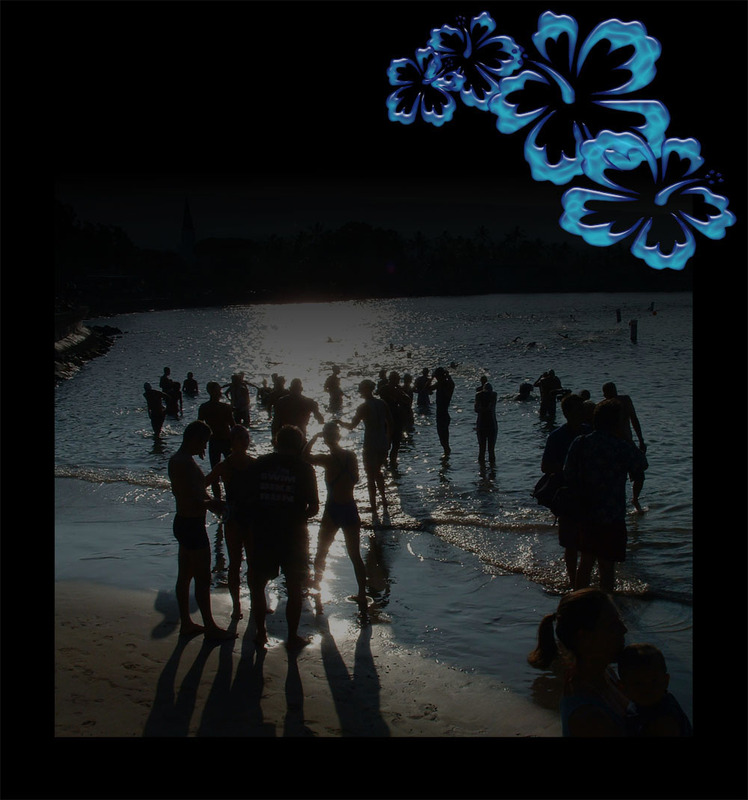 It has always been about a healthy lifestyle and fun. Nobody was more surprised than me when I broke the Irish Ironman record, when I stood on the podium in Hawaii and was the first veteran to finish at Challenge Barcelona and IM UK. I was particularly pleased with finishing nearly half an hour ahead of the next person in my age group, a top ten bike split and 15th place (5th amateur overall) at Ironman UK and coming in ahead of nearly 1,500 other athletes. The little success I have enjoyed has been primarily down to the help and support of my wife Eimear, two very accommodating baby children, the generosity and advice of my brother Fergus and a few other friends in the sport. It’s not a cheap sport and to be honest I have been doing it on a shoestring. 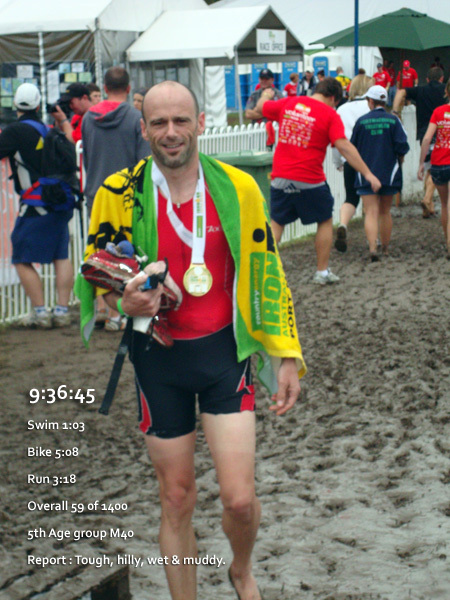 Even so I have achieved a standard where I am very competitive at an age group level internationally and despite usually exiting the water well down on my opposition, I am able to cycle and run my way to a top finish. 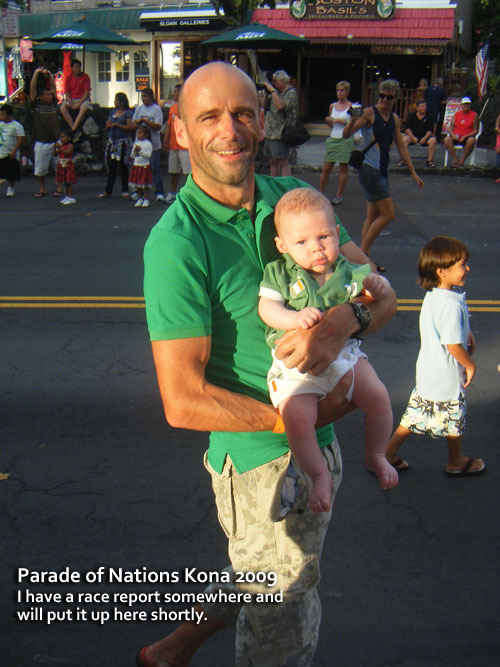 I am possibly the only Irishman racing Ironman in recent years with multiple age group wins and am the only Irishman to stand on the podium in Kona. My ambition is to return to the World Championships in the near future and win my age-group. For someone of my “sporting” background to stand on the top podium spot at Kona would be quite something. Obviously its still a pipedream, not to mention a logistical minefield but if anyone out there is interested in sharing the journey and get their brand across the line and up on stage in Kona I would only be too happy to talk to them. A little bit of sponsorship would be great and would certainly help me achieve my goals. I would be delighted to talk to anyone about what I may be able to offer a potential sponsor in return, I might even throw in a painting or two! Feel free to get in touch at chaospress @ eircom.net, phone 0876403559.